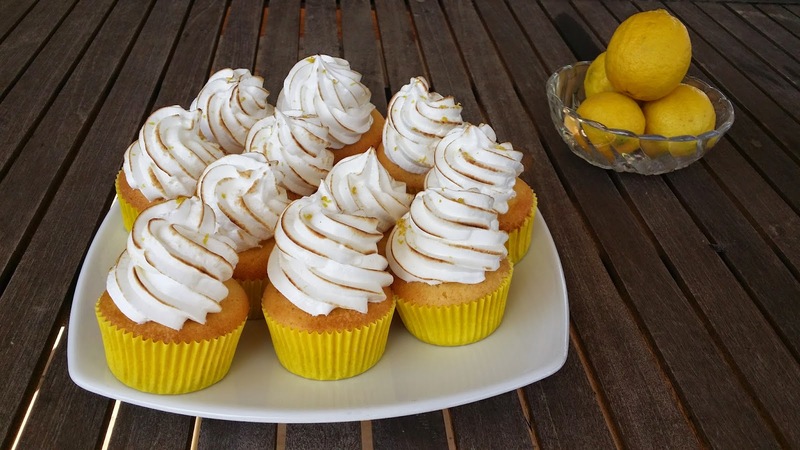 I’m sure you have heard it before, when life gives you lemons … (insert witty comment) and in my case its: bake lemon meringue cupcakes. I have been wanting to try these out for a while but didn’t really think my skill level was that high, but after making them on the weekend I realised they are actually quite simple to make and a lot of fun to assemble. This was the easy part. I decided to try a different recipe than my normal basic vanilla cupcake recipe and I stumbled upon Martha Stewart’sLemon Meringue Cupcakes recipe. 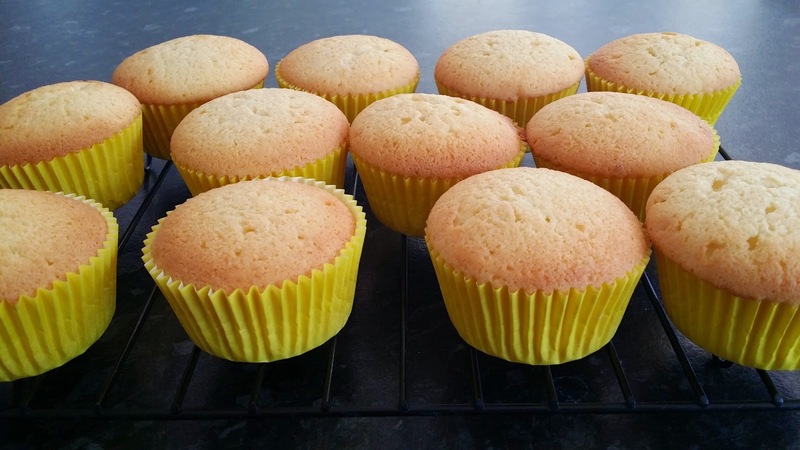 I have started to use buttermilk in a lot of my recipes as I feel it gives the cupcake more or a richer smoother taste without being dense and heavy. So I was quite keen to try this out. 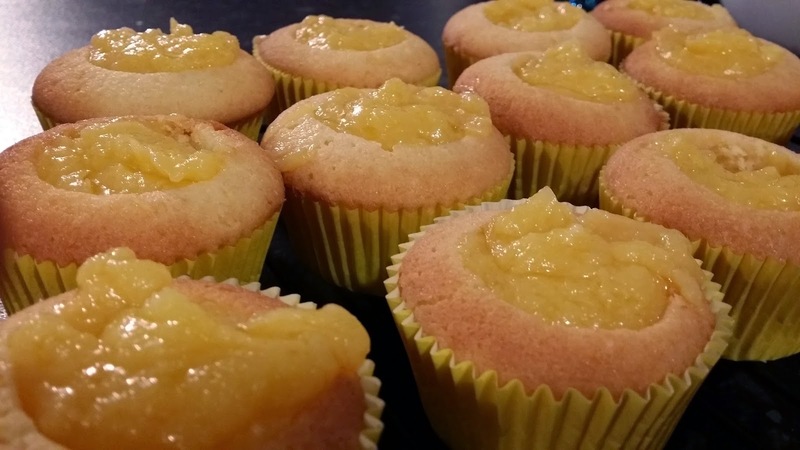 However I didn’t want the cupcakes to be lemon flavour as I figured the lemon butter would take care of that and I didn’t want to overpower it. So I simply skipped the lemon zest and lemon juice. I didn’t need to add anything else to it, the mixture was a great consistency without it. They came out looking beautiful and golden, rose just a little and smelt sooooo amazing! 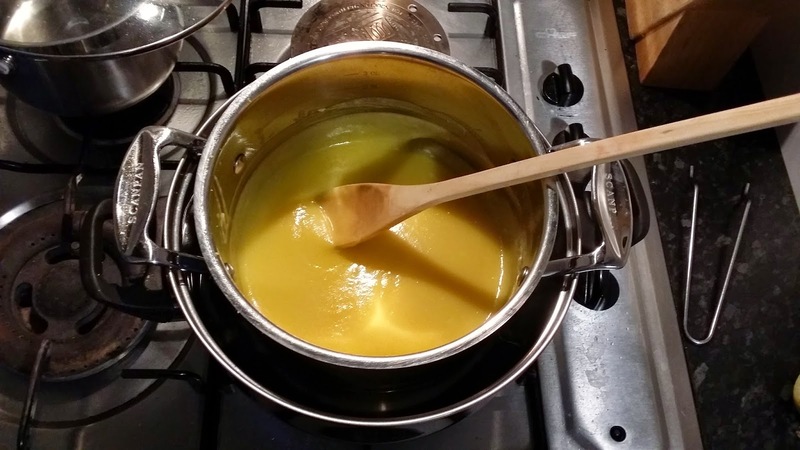 I have never made Lemon Butter before, I know, crazy right! It such a classic thing to make. I looked in my Country Women’s Association (CWA) book hoping to find a simple classic recipe, but didn’t quite find what I was looking for. For those of you that don’t know, CWA books are the bomb! They have hundreds of recipes in their books and they are always simple and tasty. Kinda like the recipes your Mum or Grandma would make. 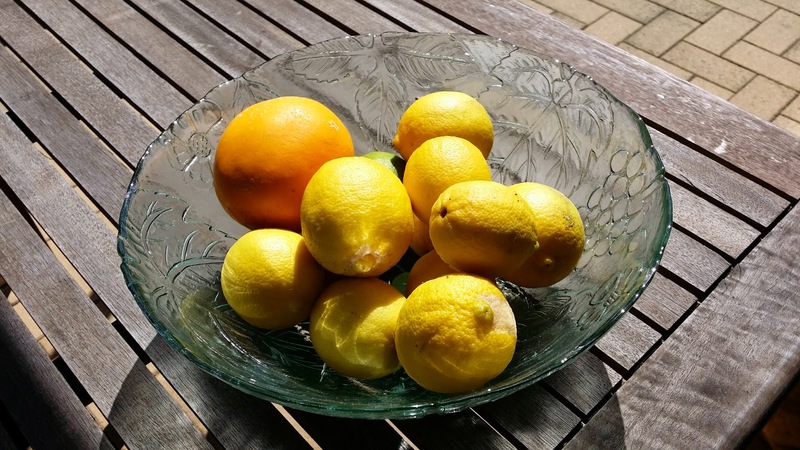 So I was a little surprised and disappointed that I didn’t find a good lemon butter recipe. Nonetheless I found this one here on Frills in the Hills. I think the fact that it is the blog author’s nans recipe just seemed to make it a little more authentic to me. Oh and I definitely didn’t want to make an ‘easy microwave’ recipe. To me that isn’t traditional and it’s cheating. Kinda like using packet mix cupcakes instead of starting from scratch. Anyway, we won’t get into that debate! The recipe says you need a candy thermometer, unfortunately I don’t have one of them, but I do have a meat thermometer! Haha so I just used that instead. The highest temp is 200, so I just guessed when it hit the 230 degrees. My lemon butter turned out pretty good, only it seemed to have little white flecks in it, which I think was the zest. My grater only has 2 different grater types on it, so next time I will make sure I have a proper zester. The lemon butter was delicious though, zesty bits and all! 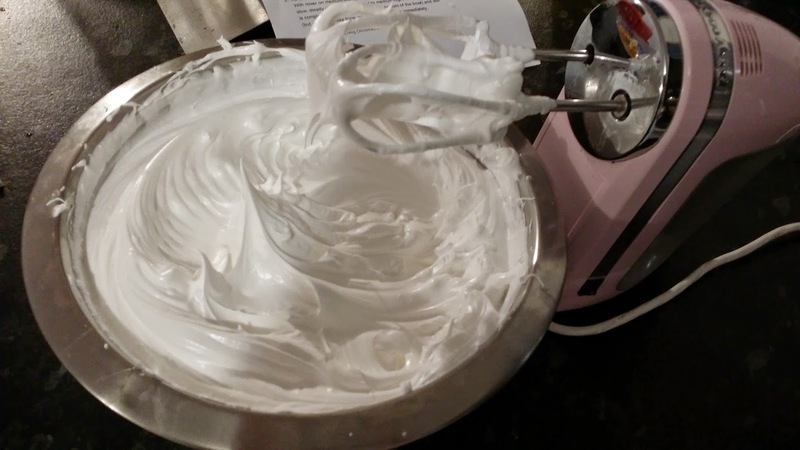 I was a little anxious making the meringue, it just always seems like such a daunting thing to do, getting the whites to the right consistency without over doing it. Its only been a week but I already cant remember the recipe I used! But I do remember the recipe saying it would make 8 cups, that seemed like enough for a dozen cupcakes, it certainly was! I don’t have a stand mixer yet, just a simple hand held kitchen aid mixer. So I didn’t use a whisk attachment like was requested, just the standard beaters. However it still turn out perfectly. Getting it into the piping bag was fun though! So the last and final step was to put all of this together. I used a cupcake corer to cut out a whole in the middle of the cupcake. This was when I had my first taste of the cupcakes, eating the core centre that I pulled out and it was soooo good, I couldn't wait to eat the whole thing. 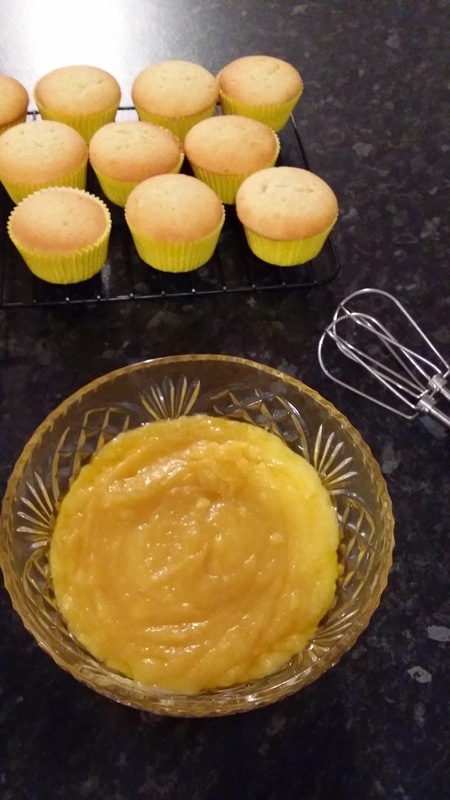 So I cored the cupcakes then spooned a few teaspoons of the lemon butter into the whole, filling it to the top, being careful not to over fill it. 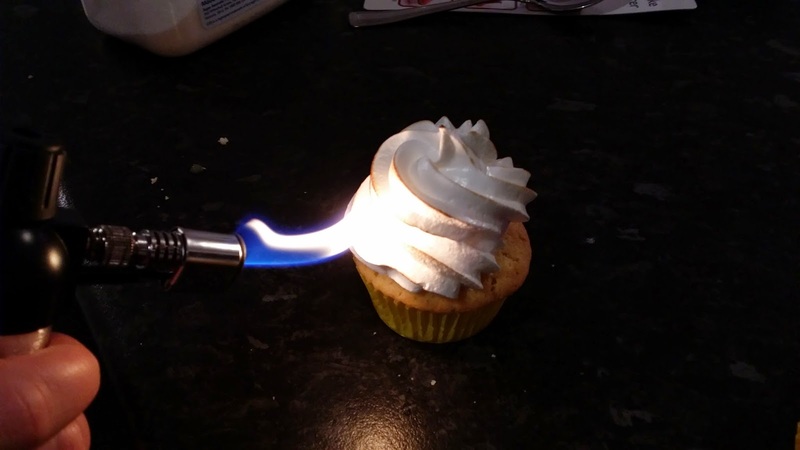 Then I filled my piping bag with meringue, and used a large start tip and piped very high swirls on the cupcake, ensuring I covered any evidence of the lemon butter hidden underneath. Then the fun bit, using the blow torch! I have only ever used a mini blow torch once before when I made crème brulee and it was so much fun! I know that sounds sad, but it’s just cool, to see the pristine white meringue instantly turn golden and brown on the outside Once I had my fun with the blow torch I sprinkled a bit of lemon zest on the top and wallah! Lemon Meringue Cupcakes are finito! 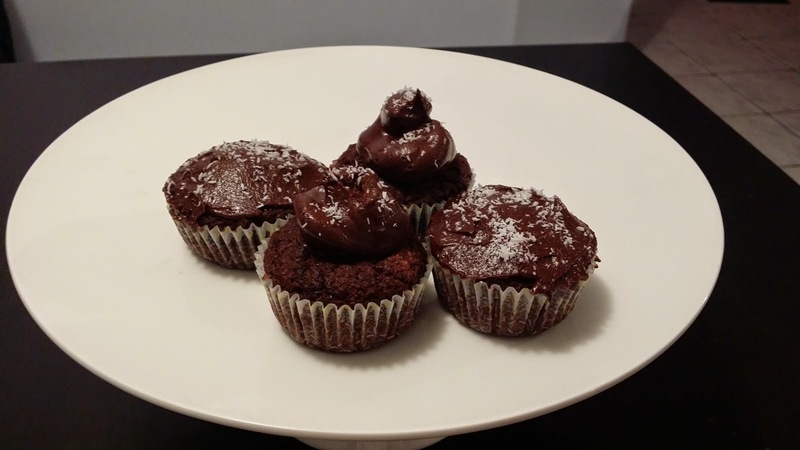 Chocolate cupcakes: Sugar free, Gluten free and Keto & Paleo friendly! It's official! 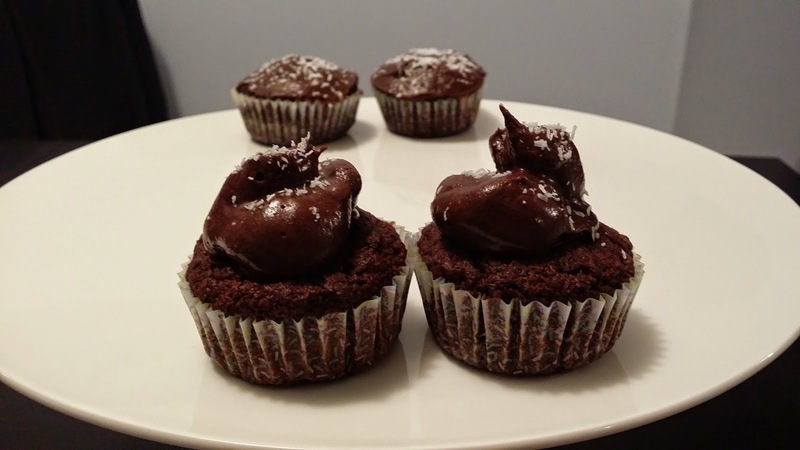 I have successfully made chocolate cupcakes that are not only gluten free and sugar free but also Keto and Paleo friendly! And best of all, they taste deliciously good and I can eat them guilt free! Amazing! I was at the local vet a few weeks ago and happened to see an advertisement up for RSPCA Cupcake Day, you can get more info here. 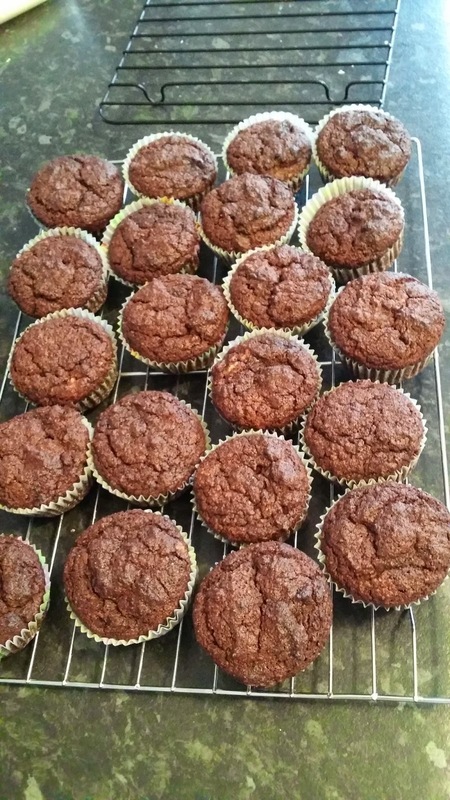 Then I was perusing through the recipe section and came across Pete Evans' recipe for Chocolate Cupcakes that was Gluten free and Paleo friendly. Perfect! You can find the full recipe here. Anyway, back to the cupcakes! So these are Paleo friendly, but they still have sugar in them, so to make them Keto friendly I had to sub that out for something. Earlier in the year I went to the Cake Bake and Sweets Show in Sydney and discovered Natvia. Its basically a natural sweetener and is very useful in baking, both because it tastes good and it also has a 1:1 ratio to sugar which makes things handy. So there any many sweeteners out there and I have barely scratched the surface with them, but this is the one I have had the most experience and success with so far. If you want to find out more info you can read about it here. 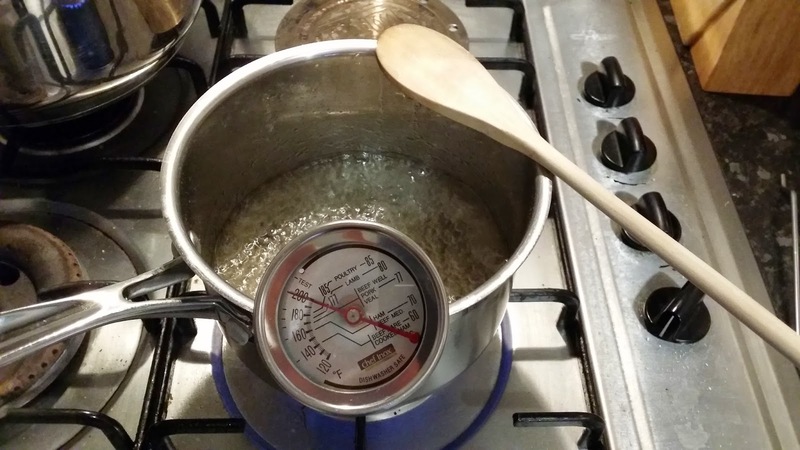 So I replaced the 190g of honey with 150g of Natvia. I also used almond milk, not coconut milk. As the frosting was made with Coconut Oil I didn't want to overload the coconut flavour so opted for Almond Milk instead and I also happened to have some leftover in the fridge that I needed to use. I followed the recipe exactly for everything else, my mixture ended up giving me 21 cupcakes which was great! A lot more then the prescribed 12. So while they cooled I started on the frosting. The recipe calls for 500g of coconut oil, this seemed like an exuberant amount to me, so I just started with 300g, then figured I could add more later if need be. I did 40g of Cocoa powder instead of the 80g, but did a little extra cream. I just used normal cream not coconut cream. Firstly as I had normal cream in the fridge to use and I didnt want to open up a 300ml can of coconut cream only for 2 tablespoons and secondly, I again didnt want to overload the coconut flavour. 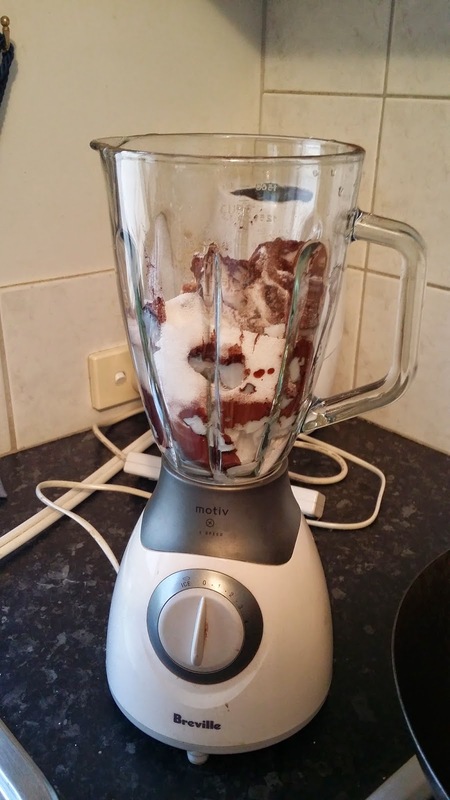 The recipe said put all the ingredients in a food processor and mix it together until smooth. I unfortunately don't have a food processor at the moment (I must really look at getting one) so I just put it all into the blender and blended it together. I was really hesitant with the frosting, I just couldn't see how it was going to work out, with no powdery substance i.e. no icing sugar and so much oil. 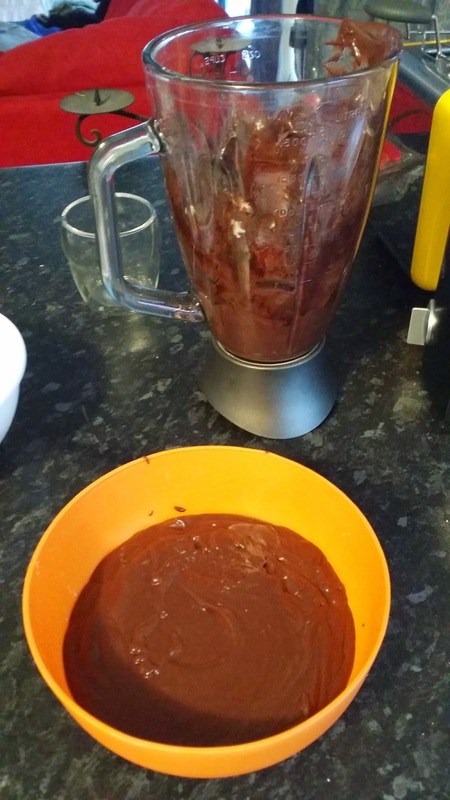 Anyway I blended it in spurts and scraped the sides and blended again and after a few minutes it becomes lusciously smooth and decadent, very much like ganache. I didn't look at the picture, so wasn't really sure how it was meant to turn out, I only knew that I had to be able to pipe it. So I poured it into a bowl and put it in the fridge to set for a bit to firm up to make it pipeable and after maybe an hour it came out perfectly pipeable and tasted like eating Bounty flavoured ganache. Due to my eating restrictions at the moment, I just frosted a few for us to eat over the next few days and then put the rest in the freezer. The cupcakes tasted great! They weren't dry or dense like gluten free cupcakes sometimes turn out, almond meal is great for that and the choc coconut frosting on top just gave it that added richness and variation in flavour. And best of all I can eat them guilt free knowing they are sugar free and my boyfriend can also enjoy them as they are gluten free. Adapted from Pete Evans' recipe found here. Line a 12 cup muffin pan with pattie liners. 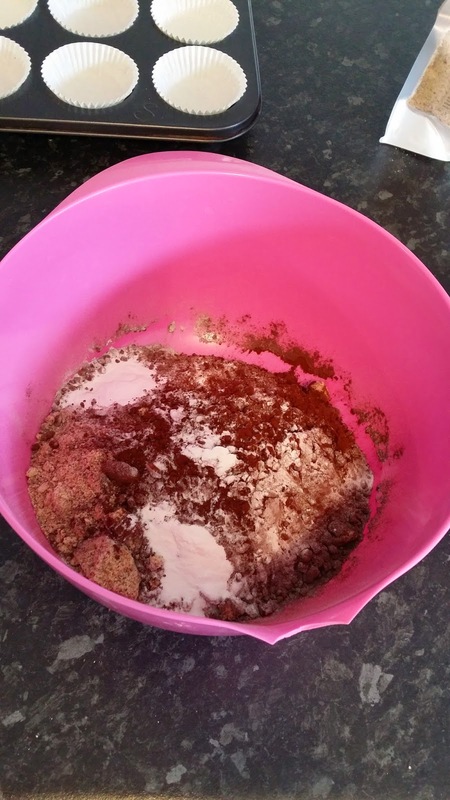 In a large bowl mix the almond meal, cacao powder and baking powder. In another bowl, whisk the egg, coconut oil, almond/coconut milk and honey until smooth. 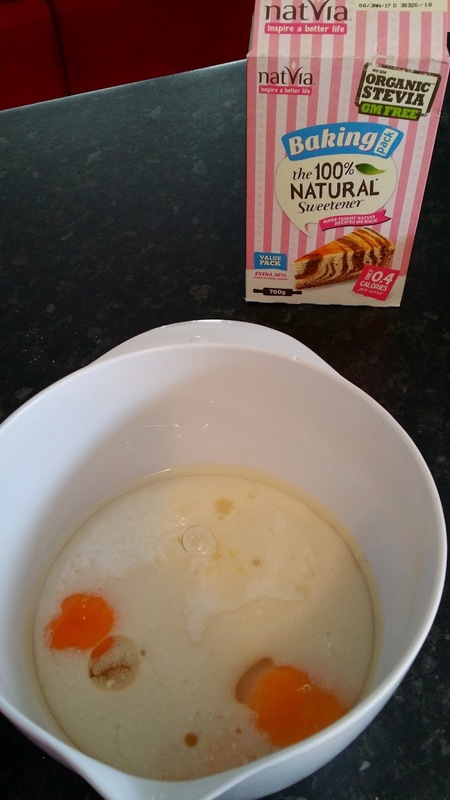 Gently fold the egg mixture into the dry ingredients and mix to form a batter. Spoon the batter into prepared muffin cups, filling each to three-quarters full. Bake for 20 minutes or until cooked through. 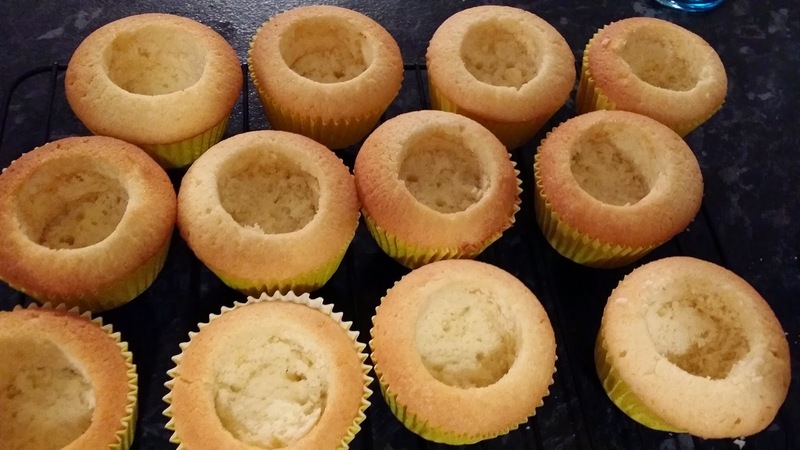 To check if the cupcakes are cooked, insert a toothpick into the centre and if it comes out clean, the cupcakes are ready. Combine all the ingredients in a blender or food processor and blend until smooth. Place in a bowl and set in the fridge for an hour, or until frosting becomes firm enough to pipe. Pipe the frosting onto the cooled cupcakes and sprinkle with shredded coconut to garnish. I scream! U scream! Ice cream!